Rust created a unique program App for Stoli Vodka to run on Apple’s new iPad that was in 40 Markets beginning May 14th 2010. 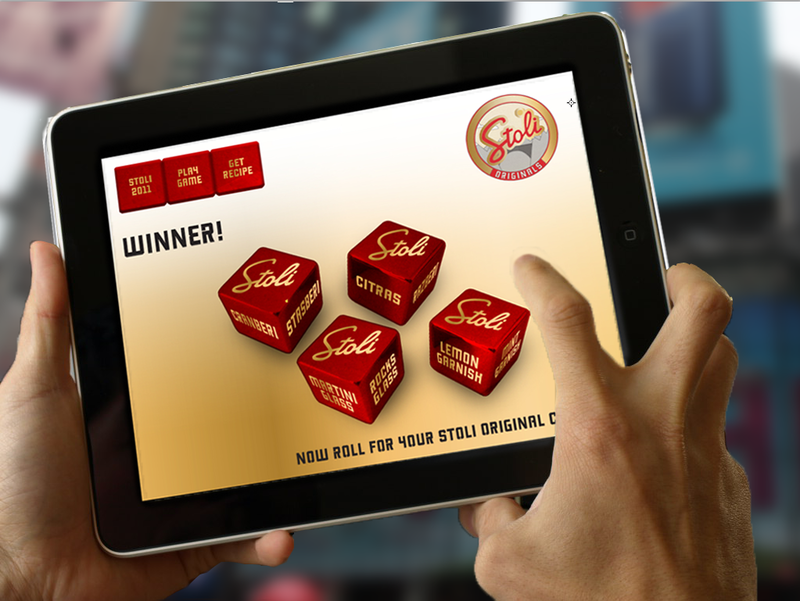 The App was designed to market Stoli Vodka’s “Original” campaign. A market manager approaches you and askes if you would like a free original cocktail from Stoli. The user then touches the screen to select their flavor of Vodka, Their mood, and then their favorite mixer. After a quick shake the iPad, it selects an official Stoli drink that matches the users selections and sends the drink order to an iPod at the bar! Rust is continuing to develop new features of the app and distribute it across the country.